When it comes to river cruising, the devil — and the delight — is in the detail. Our Travel Editor shares his expert advice for making sense of the itineraries, inclusions and intricacies on offer. It might be that we’re gliding into Budapest along the River Danube and see the birthday-cake Hungarian Parliament Building lit gold in the late sun. It might be that we’re in the old part of Lyon, where the Saone and Rhone meet, walking narrow streets and stopping in an evening cafe in a frightfully French scene. Maybe we are gliding past the German castles on the Rhine or joining a cycle tour around Amsterdam. We could be visiting the Christmas markets of northern Europe or on the waterways of the tsars, heading towards gilded St Petersburg. Or we are tying up alongside the 2200 Buddhist temples, pagodas and stupas of Bagan, the spiritual heart of Myanmar. Goodness, we could even be on a steamboat on the Mississippi in the US. River cruising takes us easily to some of the world’s most inspiring places — and it does so in the comfort of our own room, and usually having paid one up-front price. It’s about as easy as that. The word “efficiency” generally seems too cold and, well, efficient for travel stories. But it completely applies here. The travel industry warms it up with an “unpack once . . .” theme but the truth is river cruising is an unstintingly efficient way to travel, physically, chronologically and financially. During the past two years, I have been finely focused on river cruising, experiencing many ships, itineraries, cruise companies’ offerings, rivers and regions. The conclusion is that choices and decisions should now be made on the smallest details. For, broadly speaking, ships, itineraries and inclusions are quite similar. The newest ships have evolved into purpose-built floating hotels refined by experience and plenty of customer feedback. The differences are in the detail — and in that, we need to focus on itineraries, inclusions and intricacies. There are good reasons why the “blockbuster”, “standard” river cruises have built such popularity and it’s simply because they’re so good. In our search for “something different”, we shouldn’t miss out on the mainstream successes. Amsterdam to Budapest. Classic itineraries of about 15 days following the Danube, Main and Rhine journey through vineyards and past castles and call at Cologne, Nuremberg, Passau, Melk, Durnstein and Vienna. The Rhone and Saone in France, usually over 11 days. I prefer to start from the south, from the Mediterranean to Arles by coach, and then from Avignon north to Lyon, and on to the Saone into Burgundy before a road and rail connection through Dijon to Paris. The Rhine, particularly including the castles and vineyards in the Rhine Gorge in Germany and old cities such as Strasbourg and Koblenz. 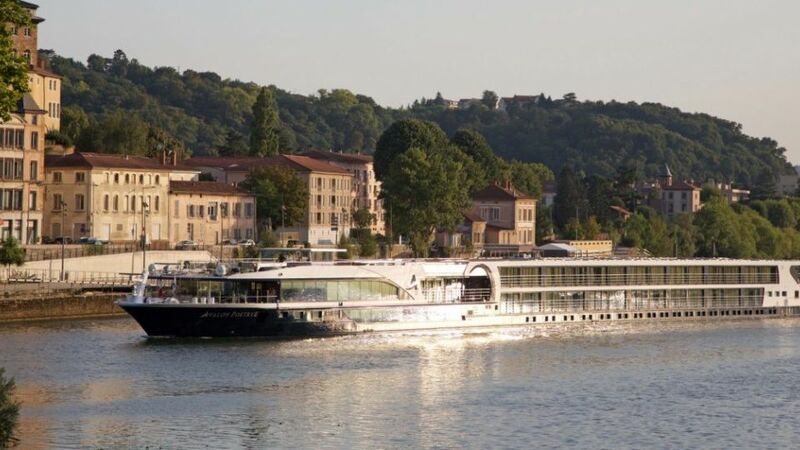 And, even in this, we can see the very roots of modern river cruising in Europe, which are often attributed to Rudi Schreiner, then the president of AmaWaterways. Mr Schreiner has said that the newly finished Main-Danube Canal opened up a 4820km river network between the North Sea and Black Sea in 1992 and, though it was built for freight ships, he realised it could be used for passengers. He dreamt up a 14-night scenic cruise between Amsterdam and Budapest, planned the itineraries — and Amsterdam to Budapest remains the “classic” river cruise in Europe. Viking River Cruises dates back to early days. Founder and chairman Torstein Hagen bought the first four ships in 1997. So, start at the top of the list, with bestsellers. Top of the list remains the trip between Amsterdam and Budapest. The Seine heading north-west from Paris to Giverny, Rouen, with visits to Honfleur and the Normandy beaches. Itineraries in Netherlands and Belgium which include Amsterdam and Rotterdam, Antwerp and Ghent. Voyages of about 13 days from Moscow to St Petersburg; from the onion domes of Red Square to the massive Peterhof Palace. Itineraries of about 10 days on the Duoro River in Portugal. This continues to rise in popularity, with time in Porto and visits to monuments and monasteries. And after that, there are specialist itineraries for those interested in wine, jazz or art, and itineraries further into Eastern Europe. The established players — Scenic, APT, Viking, Avalon, Tauck, AmaWaterways, Evergreen, Uniworld, A-Rosa — offer finely tuned itineraries and are well practised. But each has, well, just a slightly different flavour to its offering. Would you prefer to be on a ship with mainly Australians? Would you prefer an international mix, despite differences in language (or maybe you want to practise your French or German)? The majority of guests on Scenic and APT ships, for example, will usually be from Australia and New Zealand as will Viking Cruises, which mainly markets to English- speaking countries, but maybe with a slightly more international flavour to its English speakers. Avalon is also marketing mainly in English-speaking countries — Australia, New Zealand, the UK, US and Canada. There will be mainly English speakers with Tauck, also popular with Americans. Cruising in Asia is, of course, a completely different proposition. The best, I think are on the Mekong through Vietnam and Cambodia, and on the Irrawaddy through Myanmar, which is a personal favourite. It is important to fully understand what the price you are paying includes. Most will include flights and meals; many include drinks with meals, on-board activities and “touring”. On a recent Scenic voyage on the Danube, I realised it would have been possible to not spend a single euro after joining the ship. All beverages, activities, tours and tips (for crew and locals) are included. And all this adds up to great value. But let’s just pause here. For this also means that you have paid for tours every day and for drinks — and if you don’t drink or may just like a day wandering on your own, will you have paid for something you don’t want or get? If you really think it through, you may want fewer inclusions and the opportunity to hand-pick the two or three tours you’d really like to do. I’ve seen some seasoned river cruisers who like this style, even bringing a flask to take coffee with them on their outings. In response to feedback from Australian travellers, tips and gratuities are increasingly included. Some companies include gratuities in the cruise price; for others the recommended rate is about €12 ($18) a day per guest to be shared by the crew and €3 per person per day for the cruise director. But the point is to be aware of whether tips are included, and factor them into your travel budget if needed. Having decided, say, to river cruise through France, ask yourself a question. “Would I prefer to spend my free time aboard up on the sundeck or in a lounge, having a drink and chatting with others, or would I prefer to rest on the bed and watch the river and landscape glide by?” For this affects the cabin or stateroom you choose, and even the cruise line you will prefer (for example, Scenic’s beds run lengthwise along the ship, which is nice to watch a movie, and Avalon’s are crossways, so you are facing the river). Do you want a balcony, or would you prefer big sliding doors that give the whole room an “outdoor feel”, or aren’t you planning to spend much time in your room, in which case you can look at the lower decks, with smaller windows? Most river cruise companies offer guests an audio device to wear around their necks while out and about, so they can hear the guide through an earpiece. This makes life much easier for most people. The most popular audio devices are Quietvox (Viking, APT, AmaWaterways, Uniworld), Taylormade (Scenic), Whisper and Voxtours. Increasingly, they also have “self-guide” information in English, so you can set off, footloose, and explore, with some help. All will work, in some way, with hearing aids and most have a standard 3.5mm jack connector. You’ll be able to use your own headphones, though earbuds are supplied. Small details make a difference and, for example, on Scenic’s new ships, I like that fact that chairs in the lounge swivel, making it easy to turn and chat with others. In focusing on itineraries, inclusions and intricacies, it’s good to sit down and get detailed advice, and I don’t hesitate in suggesting that’s done with a good and experienced travel agent who specialises in river cruising. After all, the devil, and delight, is in the detail.